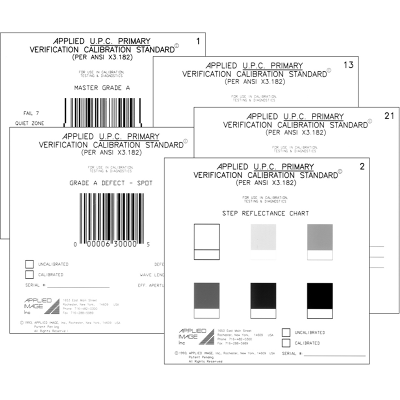 This precision 2D barcode card is fully calibrated and NIST traceable, meeting the requirements of ISO 15426-2 for primary reference test symbols. 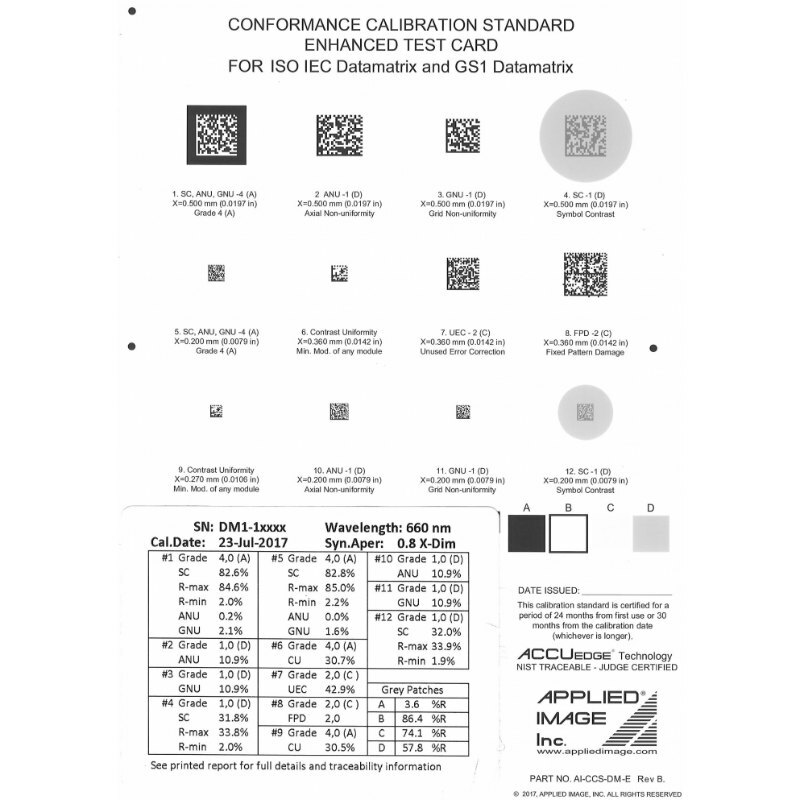 Twelve symbols, sized from 0.5mm to 0.2mm are used so that symbol sizes as specified in Annex A.3.1 can be tested. 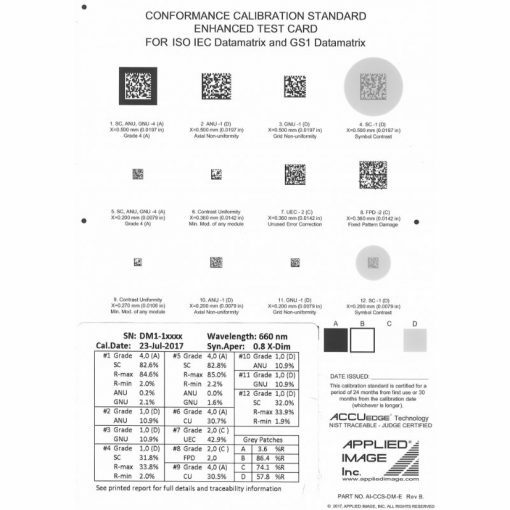 For compatibility with the GS-1 seven symbol test card, symbols 1,2,3,4,6,7,and 8 have the same test characteristics as the GS-1 card, (some have different data content).